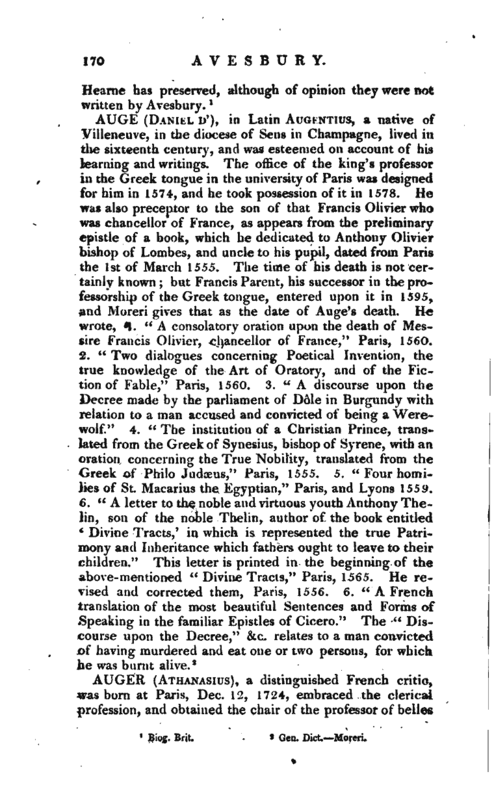 , a very ancient English historian, of whose personal history, however, we know little. In the title of his history he calls himself register of the archbishop of Canterbury’s court, His design seems to | have been to compose a history of the reign of Edward III. from such authentic materials as came to his hands but when he had laboured about thirty years, he was surprised by death, in the latter end of 1356, or in the beginning of the year following. In this work we have a plain narrative of facts, with an apparent candour and impartiality but his chief excellence lies in his accuracy in point of dates, and his stating all public actions from records, rather than from his own notions. This work, however, remained long in manuscript, and undiscovered by some of our most industrious antiquaries. It was unknown to Leland and to Bale, and the first who mentioned it and had seen it was Fox the martyrologist. 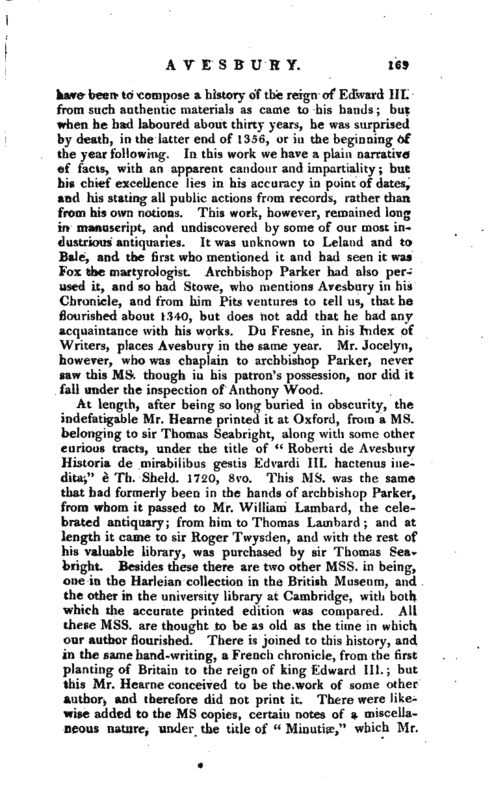 ^Archbishop Parker had also perused it, and so had Stowe, who mentions Avesbury in his Chronicle, and from him Pits ventures to tell us, that he flourished about 1340, but does not add that he had any acquaintance with his works. 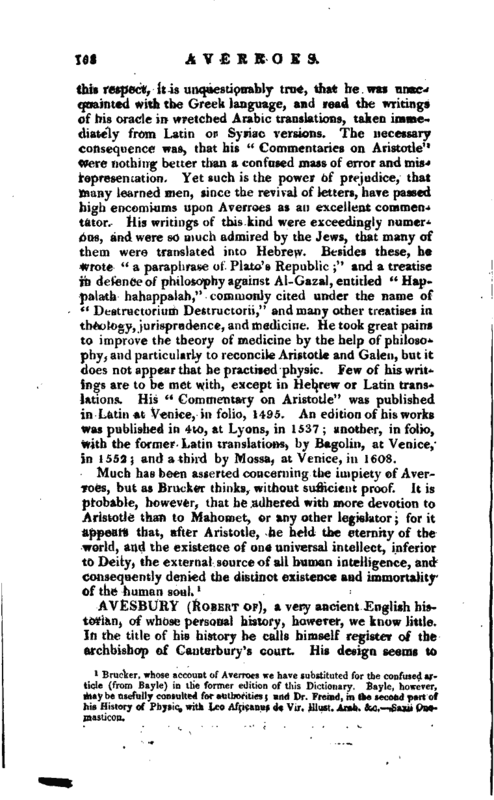 Du Fresne, in his Index of Writers, places Avesbury in the same year. Mr. Jocelyn, however, who was chaplain to archbishop Parker, never saw this ms. though in his patron’s possession, nor did it fall under the inspection of Anthony Wood.